2. In a mixing bowl, combine quinoa, eggs, vegetables, flour and cheese. 3. Heat a large frying pan over medium-high heat and lightly spray with cooking oil. Spoon fritter mixture into the pan to make 6 fritters. Cook for 2-3 minutes a side, or until cooked through. 4. 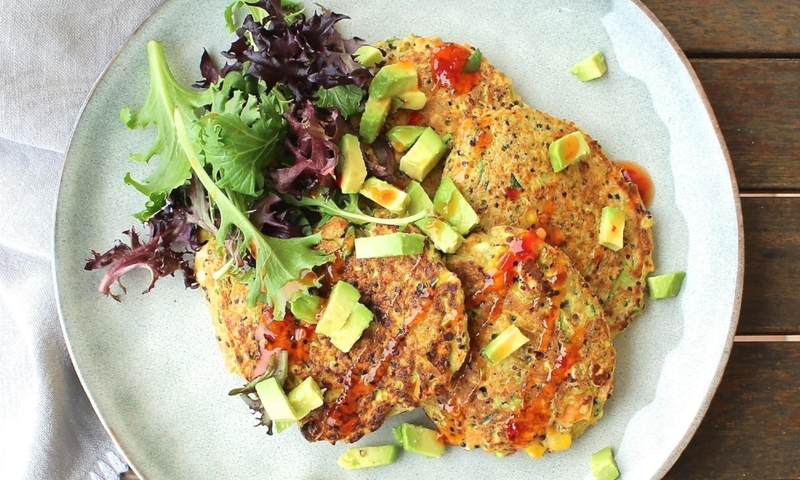 Serve fritters topped with avocado, sweet chilli sauce and mixed leaves.